Soft loop handle bags serve multi purposes aside from conveying an upscale look. The expandable bottom gusset and the soft loop handles, one on each side of the bag, keep contents secured during travel. Use these bags when you want to increase stability, reduce movement and the possibility of breakage. The flexi loop handle is reinforced and connected to the inside of the bag. The flexi loop design makes it comfortable to hold and allows full bag usage. 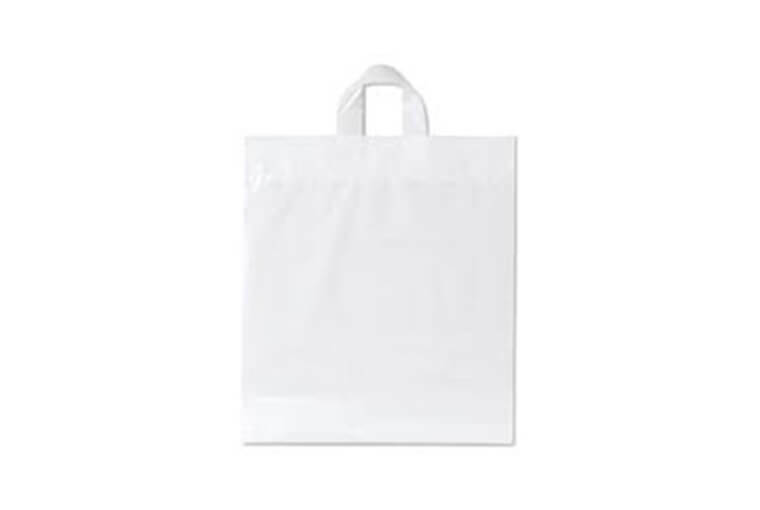 Use our flexi loop handle bags to make sure your customers leave with a good impression.